My mouth is still salivating! No chicken today!! Pinterest, my replacement cookbook is the best. Thanks to All Things G & D, I have a new recipe to add to my list. 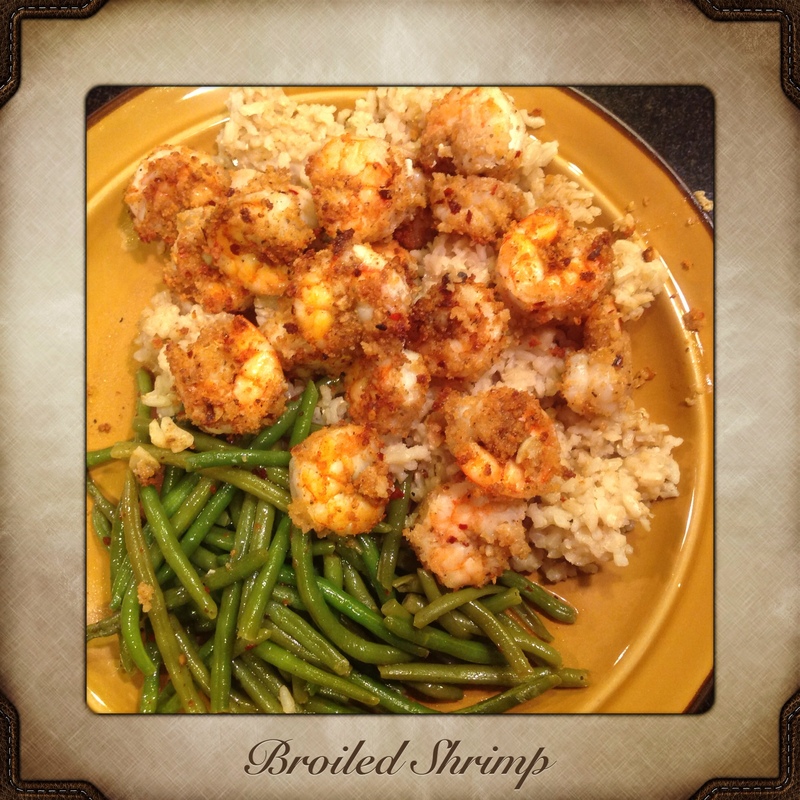 Tonight I felt the need to toss shrimp atop my organic cumin flavored brown rice and green beans, so I was happy when I stumbled on ATG&D’s quick and easy recipe. Although I used her basic recipe, to satisfy my thirsty palette for spice, I always add a little more spice to my dish. In addition to my freshly minced garlic, I added an abundance of granulated garlic powder, old bay seasoning, freshly ground black pepper, and crushed red peppers. Oh and instead of Ritz Crackers, I substituted with Kikkoman Panko Japanese Style Bread Crumbs. The bread crumbs gave the shrimp a little crunch, which I LOVED! I have learned to weigh all of my food. The nutritional piece to preparing for a figure competition or meeting any fitness goal is serious. You can put up all the weights humanly possible in the gym, but if your diet is off… well.. You will not meet your fitness goals. Look how many shrimp I have to eat to get to at least six (6) ounces! Lucky me! Ooh la-la! Oh man! This was outstanding!! 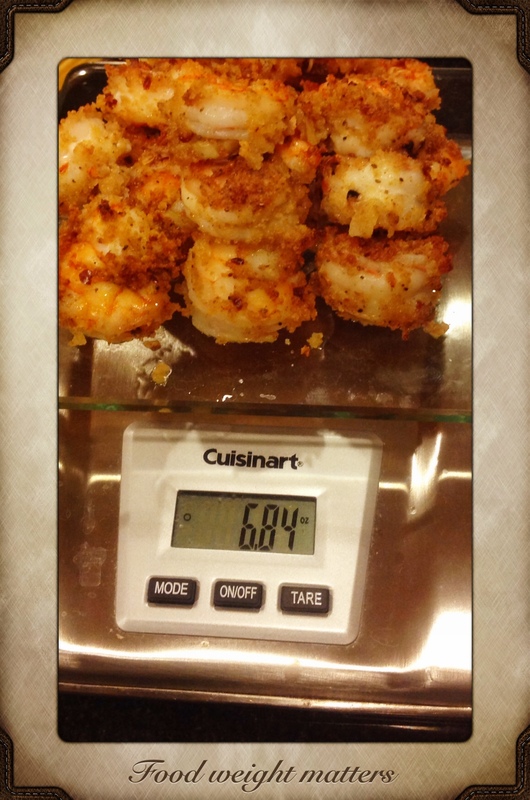 The shrimp cooked for about eight (8) minutes (four minutes each side). The brown rice and green beans were leftovers. The recipe was quick, I didn’t need a bunch of pots and pans, it and was a nice change from my typical sautéed stove top shrimp. Do I recommend this recipe? Heck yeah!! Seriously. 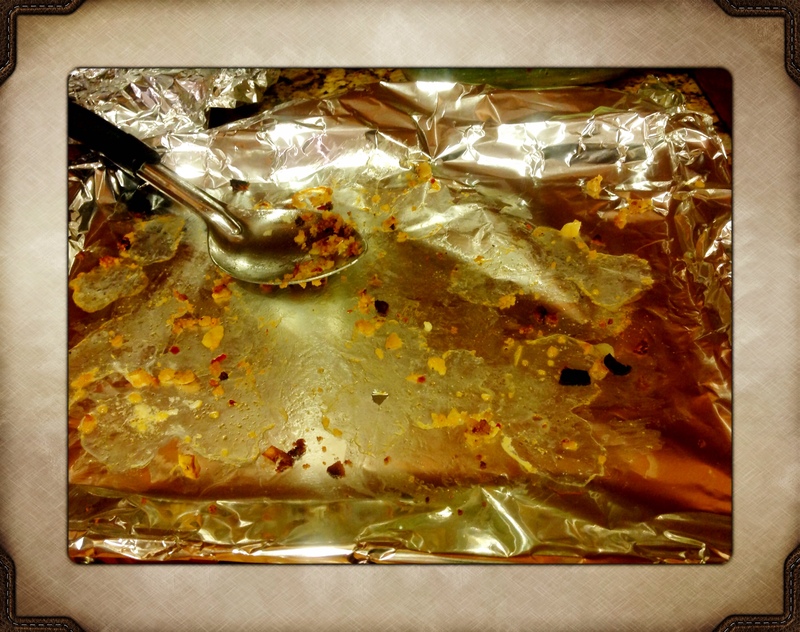 After I cleaned my plate, I told my husband I wanted to lick the pan that the shrimp cooked in! Yesterday I did legs; my quads ache, so I did good. Earlier I did abs in the basement. My fireplace is in full effect and, for the moment, my belly is full. So now I’m going to sit, chill, and wait for the 10-14 inches of forecasted snow. This entry was posted in Fitness, Healthy Eating, Healthy Living, Inspiration, Uncategorized and tagged boiled shrimp, brown rice, curly fit girl, eat healthy, eating healthy, figure competing, figure competition, fitness goals, green beans, healthy lifestyle, Healthy naturalista, organic cumin, protein, quick and easy recipe, recipe, Ritz Crackers, shrimp, working out. Bookmark the permalink. Sounds like it was really tasty. Yes it does, but it’s even better because it has less calories and fat. Thanks for dropping in!